La-Z-Boy inc is an American based furniture manufacturer that was founded in 1927 by two cousins, Edward M Knabusch and Edwin J Shoemaker. The cousins are famed for inventing the very first reclining sofa in 1928. This was a folding wood-slat chair fo use on American porches which followed the contour of a person's body, both sitting and leaning back. The pair used orange crates to mock-up and refine their idea and ultimately together invented the reclining mechanism that would sweep the world off its feet. La-Z-Boy is available in our Melksham Store only. The chairs were immediately successful, but the partners were keen to find a suitable name for their new concept and to do this they held a contest. Suggestions included Sit-n-Snooze, Slack-Back and Comfort Carrier but the cousins decided the best option was La-Z-Boy. 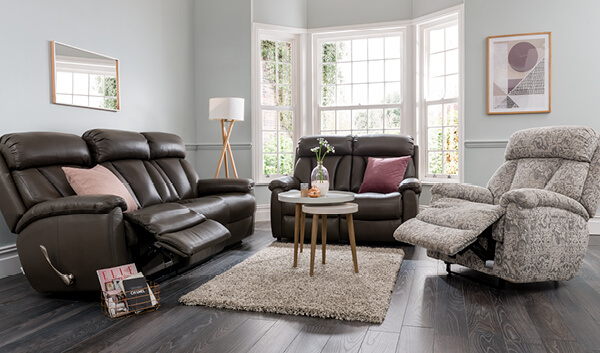 Over the subsequent decades, La-Z-Boy's range has grown to include different sizes and styles and the range is now believed to be the world's best-selling recliner. 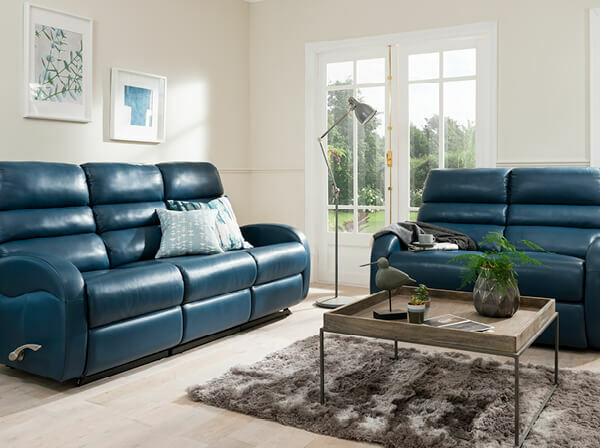 La-Z-Boy products are alll handmade exclusively to order with an unrivalled choice of leathers and fabrics and offer unbeatable levels of comfort and quality from their unique patented reclining technology. The One and Only patented La-Z-Boy handle recline La-Z-Boy’s handle recline mechanism allows a unique relaxation experience. 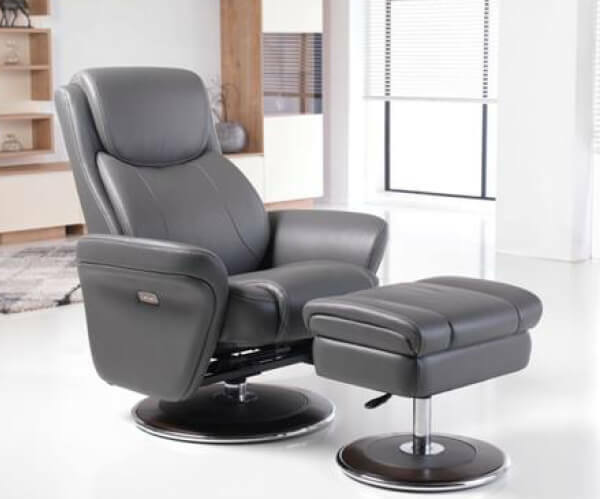 The backrest and footrest work totally independently to allow a personalised reclining position. A ratchet mechanism allows the user to comfortably slide the seat forward while the back rest moves in harmony with the body, meaning the lumbar region is fully supported at all times. The three-position handle can then be utilised to select a comfortable footrest angle. A four-sided frame gives the La-Z-Boy handle products additional strength and durability, and adjustable wingnuts allow for the ideal tension to be reached for individual users. The handle itself is branded and is available in a wood or chrome finish. You will find our full range of La-Z-Boy furniture in one of our stores. Our stores are located in; Llantrisant, near Cardiff and Cross Hands, near Swansea in South Wales as well as Melksham, near Bath and Bristol in the West Country and Bilston, near Wolverhampton and Dudley in the Midlands.